Opened in May 1997. It is Sarnia's largest and longest running antique store. 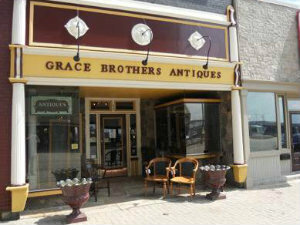 Grace Brothers is owned and operated by Steve Chitovas and Ron Lawton specializeing in discontinued china and flatware patterns, large selections of furniture and all kinds of unusual and unique items.